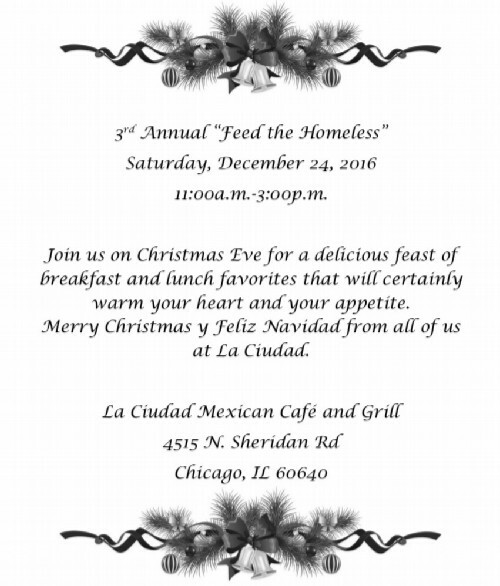 For the third consecutive year, La Ciudad restaurant (4515 North Sheridan, at Windsor) will be host to 100-150 homeless people for lunch and holiday cheer on December 24th. 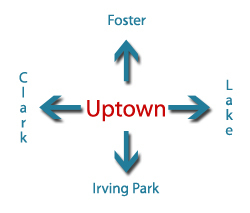 But they still need some help from the community to pull it all together. They are still looking for a few volunteers to help serve food and do clean-up from 1-3:30pm. 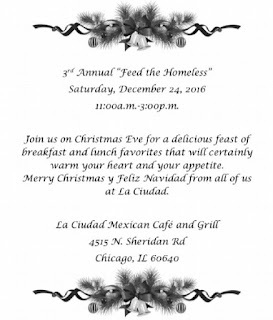 Additionally, donations of paper goods are needed, specifically paper plates, napkins, plastic utensils, and paper cups, to supplement what La Ciudad has on hand for day-to-day operations. If an individual or business would like to donate those, they would be very much appreciated. We are told, "Those living in the community or former community members have been gracious thus far with time, monetary donations, desserts, and a few gifts for the homeless." Thank you to all who have been (and will be) so generous with their time and donations. 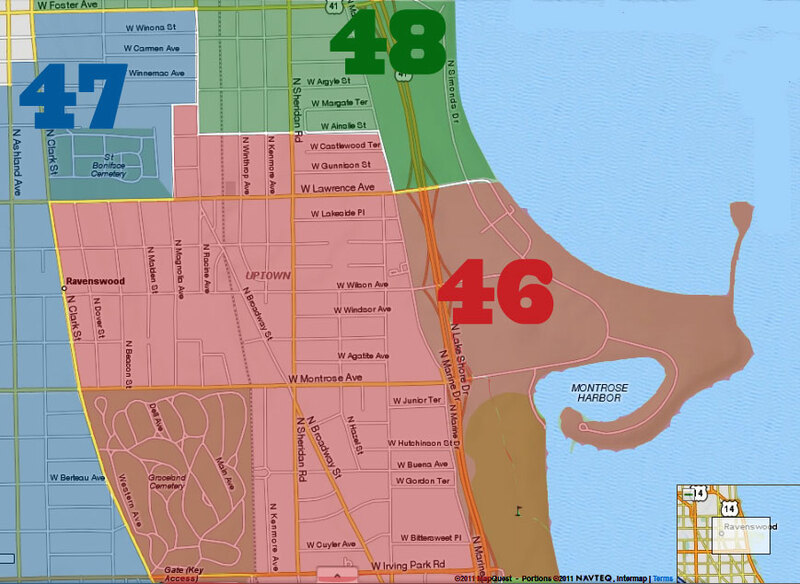 If you can help, contact the restaurant at laciudadchicago@gmail.com. Thanks, this was a great tip!